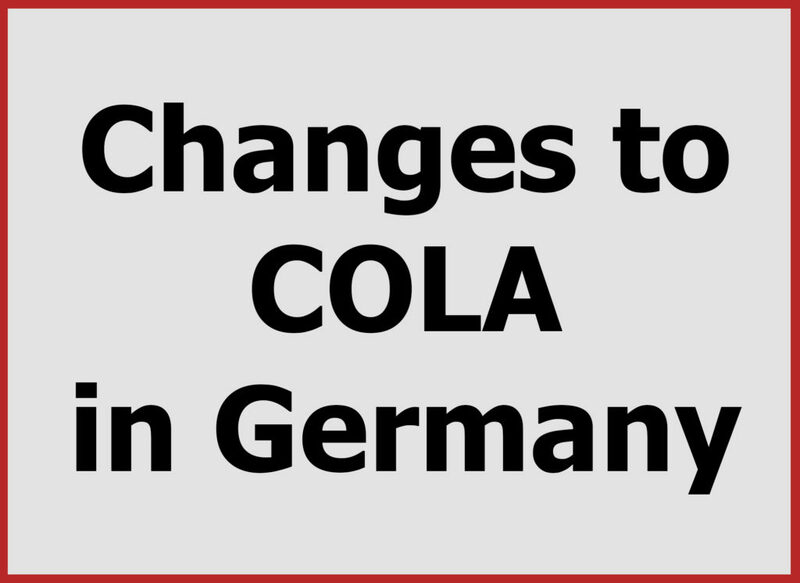 COLA rates change for service members in Germany. GRAFENWOEHR, Germany — Service members living in Germany will see changes to their Cost of Living Allowance in 2019. The changes are the result of the COLA survey and annual Retail Price Schedule. The following locations will see decreases starting March 16: Hohenfels, Kalkar, Spangdahlem, Vilseck-Grafenwoehr and Wiesbaden. Kaiserslautern and Pfullendorf COLA rates will remain unchanged. For more information on COLA, including the Overseas COLA Calculator, visit https://www.defensetravel.dod.mil/site/cola.cfm.